The radio is not IP rated. The supplied charger plug pack produces 12VDC @ 1A. The charger supplied by a Hong Kong seller was dangerous and would never pass Australian standards and could not be legally sold in Australia. It was consigned to the rubbish. The desktop charger cradle worked well from 11.0V to 16.0V input. The current reduced as voltage increased indicating a DC-DC converter was used. The cradle reliably and comfortably accommodated the radio with the 3300mAh battery. The battery external contacts appear to be directly connected to the cell terminals, there is not a blocking diode to prevent current passing to an external load like an external short circuit. This is potentially dangerous (though common), but on the other hand it tends that charger electronics work better as most charger chips are not calibrated for a blocking diode and if one exists, they may undercharge the battery. The discharge curve at 0.5C is above. 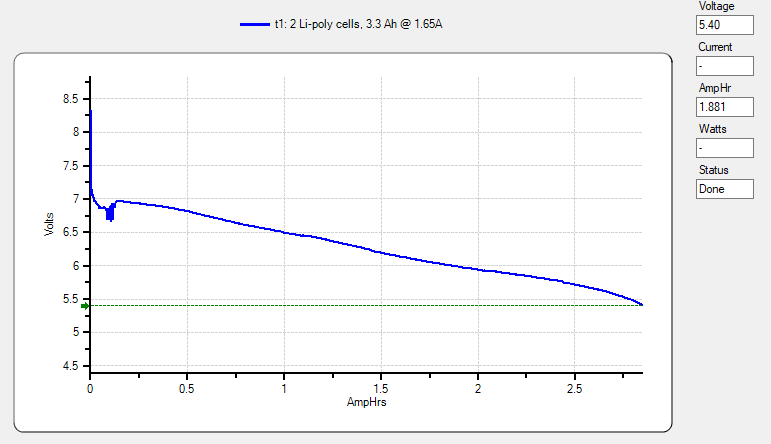 Though it is labelled LiPoly type, the cut off point is 2.7V per cell which is appropriate to the Li-Ion type cell. The small glitch at the start is due to a poor tester connection to the battery and did not affect the accuracy of the capacity evaluation. Capacity is 86% of the labelled 3300mAh capacity. That is a pretty good achievement for a Chinese battery. The radio specs claim the battery is 3100mAh, so it would rate 92% of 3100mAh. Battery ratings are nebulous things, they depend on assumed charged voltage and discharge cut off voltage. 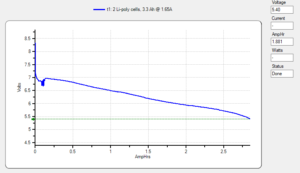 Although higher charge voltages increase capacity, they reduce battery life, and lower discharge cutoff marginally increases capacity, it also seriously reduces battery life. 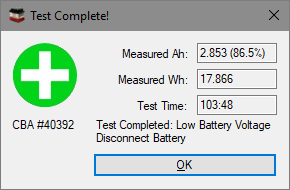 The test here was with a battery charged with the supplied charger, and discharged to a sane minimum of 2.7V per cell. 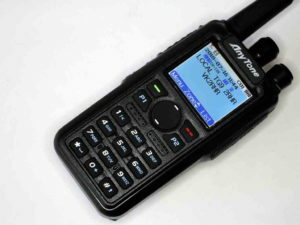 The radio was supplied with CPS v2.27. At the time of configuration, v2.29 and v2.30 were available. Contact Manager v2.50 claims to interoperate with the CPS, but tests with CPS v2.26, 2.27, v2.29, and v2.30 failed. CPS v2.30 (and its associated firmware) were chosen as a configuration base. It has a rich text import and export capability which means it can be loaded without resorting to keystroking the application, or apps like Contact Manager. Obtaining reliable current DMR network configuration information is a huge challenge, there is an abundance of articles entitled “latest” that are commonly several years out of date. Frustrating this is the existence of private / restricted Facebook pages and Yahoo groups which may or may not contain relevant information. A list of repeaters at http://vkdmr.info/the-dmr-network/ was used as the basis of a configuration. It is undated but appears recent. The list was reconciled with the VK IPCS2 console, and entries dropped if they were not inactive and not new. The concept was to configure a zone for each Australian repeater, generate a table of channel definitions based on a table of digital channel template, generate scan lists for each linked from the channel table. A table of unique talk groups is also required. "1","WW CALL 1","Group Call","No",1,1,"Same Color Code","False"
"8","REG 8","Group Call","No",1,1,"Same Color Code","True"
"9","LOCAL 9","Group Call","No",1,1,"Same Color Code","True","B"
"13","WW EN 13","Group Call","No",1,1,"Same Color Code","False"
"113","UAE1 113","Group Call","No",1,1,"Same Color Code","False"
"123","UAE2 123","Group Call","No",1,1,"Same Color Code","False"
"133","US 133","Group Call","No",1,1,"Same Color Code","False"
"143","UK 143","Group Call","No",1,1,"Same Color Code","False"
"153","SP 153","Group Call","No",1,1,"Same Color Code","False"
"505","VK 505","Group Call","No",1,2,"Same Color Code","True","A"
"3800","VK 3800","Group Call","No",1,2,"Same Color Code","dct['Name'][7:8]==region"
"3801","VK 3801","Group Call","No",1,2,"Same Color Code","dct['Name'][7:8]==region"
"3802","VK 3802","Group Call","No",1,2,"Same Color Code","dct['Name'][7:8]==region"
"3803","VK 3803","Group Call","No",1,2,"Same Color Code","dct['Name'][7:8]==region"
"3804","VK 3804","Group Call","No",1,2,"Same Color Code","dct['Name'][7:8]==region"
"3805","VK 3805","Group Call","No",1,2,"Same Color Code","dct['Name'][7:8]==region"
"3806","VK 3806","Group Call","No",1,2,"Same Color Code","dct['Name'][7:8]==region"
"3807","VK 3807","Group Call","No",1,2,"Same Color Code","dct['Name'][7:8]==region"
"3808","VK 3808","Group Call","No",1,2,"Same Color Code","dct['Name'][7:8]==region"
"3809","VK 3809","Group Call","No",1,1,"Same Color Code","True"
The digital channel table above which drives channel generation gives an indication of the TGs available in each zone. Each zone has a scanlist which includes certain channels. A Python script was written to read the various input tables and based on embedded rules, generate the text files for import to the CPS. The full DMR-MARC contact list was converted for loading. Although the radio has capacity for 150,000 contacts, it is already more than two thirds that and with growth in the user base will soon be full. To facilitate faster programming, I cut the contact list down to VK/ZL callsigns, about 2200 contacts. The CPS software turned out to be quite reliable, very few glitches and transfers to the radio were fast. If I was to score this initially at 8/10, I would say that I have never evaluated a Chinese radio that would score better than 4 on that scale and this radio stands apart as a better than average implementation. There are cheaper DMR hand helds, but this is a dual band radio (fwiw) and it compares very favorably with MD980 and MD390 experience. It is early days yet, but I am cautiously optimistic.